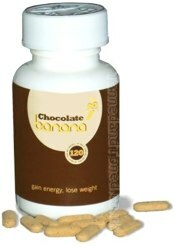 Chocolate Banana slimming pills are manufactured in Britain by Chocolate Banana UK Ltd, but despite the taste-bud-teasing name the product contains neither chocolate, nor bananas. All of these products are believed to contain variations of the same ingredients and, as with the original pills, Chocolate and Banana appear in name only. The entire range is marketed towards anyone who needs to lose weight. What Is Chocolate Banana And How Does It Work? According to the manufacturers, the pills have a triple action that can boost the metabolism, provide more energy, and suppress the craving for food. These are pretty standard claims in the world of dieting aids, but no information is provided as to how the tablets are supposed to achieve any of the claims made for them. No product studies are cited and very little about the ingredients are stated on either the product packaging or the official website. It would seem then, that the consumer is expected to take everything on trust and start popping pills without knowing exactly what is in them or how they are likely to work. The early product isknown to have contained Sida Cordifolia with Gurana and White Willow Bark, but these ingredients are believed to have been dropped from the present mix and the veil of secrecy surrounding the present ingredients makes it difficult for consumers to discover the pills’ contents. Diligent online searching does, however, allow a peek behind that veil. 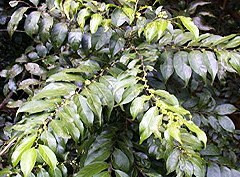 Cha De Bugre: Often brewed like a tea and used as a coffee substitute, cha de burge is believed to offer many health benefits, and has even been used as a treatment for herpes, but although its use is believed to suppress the appetite there is a lack of scientific evidence to support this claim. Naringin: A flavonoid, usually sourced from grapefruit, naringin is known to be rich in antioxidants. Some studies have shown it may be useful for lowering cholesterol levels and it is thought to increase the potency of caffeine when the two are taken together. 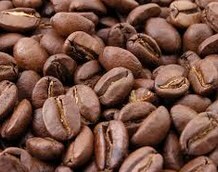 Caffeine: A known stimulant that is often included in dietary supplements to provide extra energy and increased alertness. Its use may cause nasty side effects including restlessness, the jitters, mood swings, and heart palpitations. The amount of caffeine contained in this product remains unknown. Although the manufacturers claim Chocolate Banana is the UK’s number one slimming product, this seems unlikely to be true. Very few consumers are talking about it and the product appears to have received no interest from the media, so there could hardly be said to be a buzz surrounding it. A few independent reviews are available, and one user claims to have lost 1.5 stone in the eight weeks before their wedding, but few of the reviews would provide the extra buzz required to make Chocolate Banana a contender for “number one slimming product“. Judging by some of the comments, it would probably struggle to be even categorized as an “also ran”. Despite their failure to in listing the ingredients, the manufacturers are very honest about possible side effects, and warn that their pills may cause insomnia. This suggests a high caffeine level, but some of the other ingredients could also prove to be problematic. The inclusion of Cha-De-Bugre is a cause for concern because it has been suggested it may not interact well with some forms of medication, including Lithium. The Naringin content may also present problems because it is also believed to interfere with some medications including, sedatives, calcium channel blockers, estrogen, and some drugs that are used for lowering cholesterol. Unpleasant side effects have already been reported in online reviews. One user claims the pills made him feel “weird” and “like I was on illegal drugs”. After two weeks he had failed to lose any weight and stopped taking the pills because he did not like how they made him feel. This is not a recommended product. The manufacturers fail to provide the consumer with important information like the ingredients and the amounts used. Data like this enables the consumer to make an informed buying decision. The lack of such important information makes it difficult for individual buyers to consider any possible side effects and whether or not they are happy to risk suffering them, and in this case, when the ingredients are revealed, the possible side effects attributed to some of them are very worrying. No satisfactory evidence is provided to support the manufacturer’s claims for Chocolate Banana and the majority of independent reviews—few that there are—paint a less than glowing picture. There are many better alternatives available. Ordering options are limited to the official website. This is not a bad thing, having a restriction on outlets and stockists stops a wild variation in pricing. 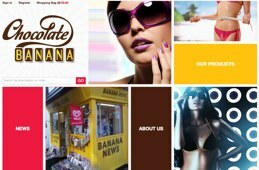 There are several products we recommended over and above Chocolate Banana especially for UK based consumers. 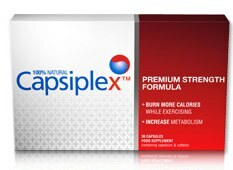 Capsiplex for example is a highly effective natural fat burner that has enjoyed immense success of a world stage. It is based on the concept of capsicum and according to the manufacturers can help dieters burn round 280 calories per serving.